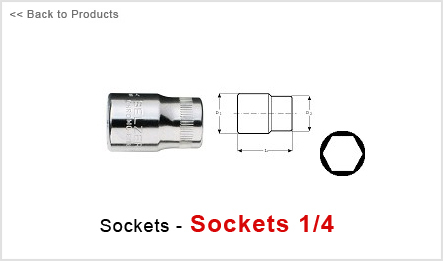 Hexagon socket in Metric sizes.DIN 3124/ISO 2725. 1/4" 6.3 DIN 3120/ISO 1174.Finish: nickel and chrome-plated, fine-polished. SB = Retail packed on a plastic info card. .